Petron gives you some respite from the heat of the summer with its Best Day Promo at participating service stations. Petron helps you start and end the work week right by giving you one free bottle of Magnolia Purewater and Polo candies for any amount of fuel purchase between 6AM to 9AM on Mondays and Fridays from April 22 to May 30, 2016. 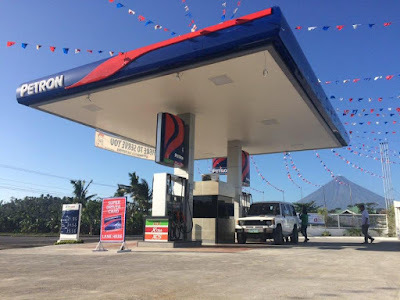 Each time you gas up with Petron’s Euro 4 Tri-Activ fuels—Blaze 100, XCS, Xtra Advance, DieselMax, and Turbo Diesel—during the promo period at twenty participating service stations in Metro Manila, the service masters will stamp your receipt (no minimum purchase required) and give you a refreshing bottle of Magnolia Purewater and Polo candies. In addition, you can also get to see your favorite Petron Tri-Activ Spikers volleyball players and other Petron celebrity endorsers when they show their support for the Best Day promo. The Petron Tri-Activ Spikers were at the Petron station along Shaw Boulevard in Wack-Wack, Mandaluyong City on April 22, and then at the Petron station on Connecticut St along EDSA in Greenhills, San Juan on April 29. In May, Luis Manzano and Gretchen Ho are expected to visit Petron service stations to help give customers their Best Day experience. QUEZON CITY — Commonwealth Ave. cor. Atherton St.; Commonwealth Ave. cor. Holy Spirit Drive, Don Antonio Heights; Commonwealth Ave., Bgy. Greater Fairview; Commonwealth Ave. cor. Arboretum Rd., Bgy. UP Diliman; Commonwealth Ave. cor. Zuzuaregui, Old Balara; EDSA cor. Main Ave.; Katipunan Ave., C5 La Vista; While Plains; No. 188 E. Rodriguez Jr. Ave. (C5); 110 Boni Serrano cor. 4th Ave.
MAKATI CITY — 363 Sen. Gil Puyat cor. Makati Ave.; EDSA Dasmariñas; EDSA cor. Danlig St. cor. Iran St.